Eastbourne Speedway’s new era begins on Saturday (April 6) when they face Birmingham at Arlington Stadium. The Fineprint Eagles have returned to professional speedway and take on the Brummies in the Championship Shield. Tapes up at 8pm. Both clubs stepped up from the National League (NL) during the winter and this first test at a higher level has an added twist – one of the Birmingham promoters is Sussex-born David Mason, who rode for the Eagles in 2015. Eastbourne have built an all-British team led by captain Edward Kennett, who lives only a couple of miles from the track in Hailsham. He is supported by newcomers to the Eagles, Richard Lawson, Lewi Kerr, Ben Morley and Alfie Bowtell. Stepping up with the Eagles from the NL are Georgie Wood and Tom Brennan from Hassocks, just north of Brighton. Director of Speedway, Jon Cook, said: “Our aim was to have an all-British team, if we could, and retain working relationships with riders we knew and trust. 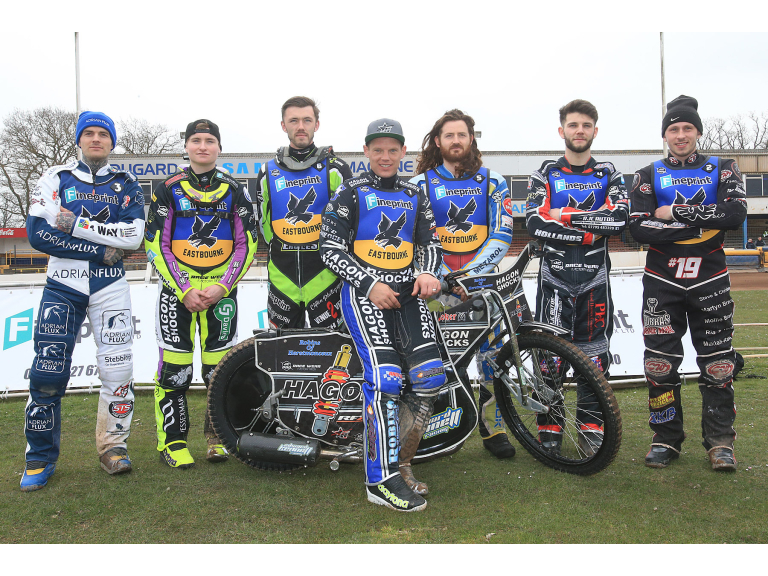 Eastbourne: Edward Kennett, Ben Morley, Alfie Bowtell, Lewi Kerr, Richard Lawson, Georgie Wood, Tom Brennan. Birmingham: Ulrich Ostergaard, Tobias Thomsen, Zach Wajtknecht, Ashley Morris, Kyle Newman, Paco Castagna, James Shanes. Why not check out this Motor Sports business in Eastbourne. Eastbourne Eagles is a 'thebestof' business member.